I remember you every time I see Belong to Me on the bookshelves. I really have to start reading her soon. I still haven’t read Belong To Me! I should read that before I pick this one up but I love that her new novel is partially set in the Philippines. I immediately thought of you and Celina when I saw the trade paperback yesterday (P720 is really expensive!) I wonder why the hardcover wasn’t available? Belong To Me had a lot more going for it than Loved Walked In. I loved the twist there, and the characters and the new setting. 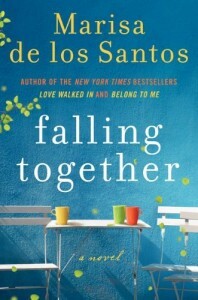 :) Anyway, I saw Falling Together yesterday at Bestsellers, and yep, P700+. I wonder if Fully Booked will carry this and if it will be slightly cheaper there? Haha. I wish. I can’t remember if Belong to Me was released in hardcover, but I know Love Walked In was. Maybe it’s because it’s NBS that’s why it’s in paperback? Anyway, I can still wait. =D Haha.